Immigration, Refugees and Citizenship Canada has introduced an electronic system to manage the submissions for PR, which is called as Express Entry. If you want to get the Canadian Immigration and you complete the requirements of any Federal Program under Express Entry, you can create your profile at IRCC website to initiate your immigration. Luckily, the Canadian government has applied no limits on how many profiles can be accepted in one year. Also, there is no deadline before your must create a profile. Once you make a profile and get selected into the Express Entry Pool, you will remain in the pool for one year. Every profile will be granted a score depending on their age, education, skills, etc. During a draw, the profiles with maximum scores will be invited to apply for the permanent residence. There are many ways through you can improve your score like adding education, language, skills, and etc. The selection criteria are very simple; if you have more points, you are more likely to get selected during the next draw. If you have a job offer or considered in a Provincial Nominee Program, you will get extra score points. First of all, you need to create a profile on IRCC website. Also, you need to mention that you are searching for a job in the particular province to improve your score. Once you have done it, you need to submit the single form to PEI PNP website. The form submission is considered as an expression of your interest to immigrate to Prince Edward Island (PEI). There is no fee for submitting this form because it is not a formal application to the PEI PNP. The information regarding the formal application is not yet provided by the office of immigration. Once you complete the form, you need to send it to expressentry@gov.pe.ca. According to the official website of PEI PNP, it is not guaranteed that all the submitted profiles with be accepted into the Express Entry Pool. The Immigration department will contact only those profiles that have been accepted. 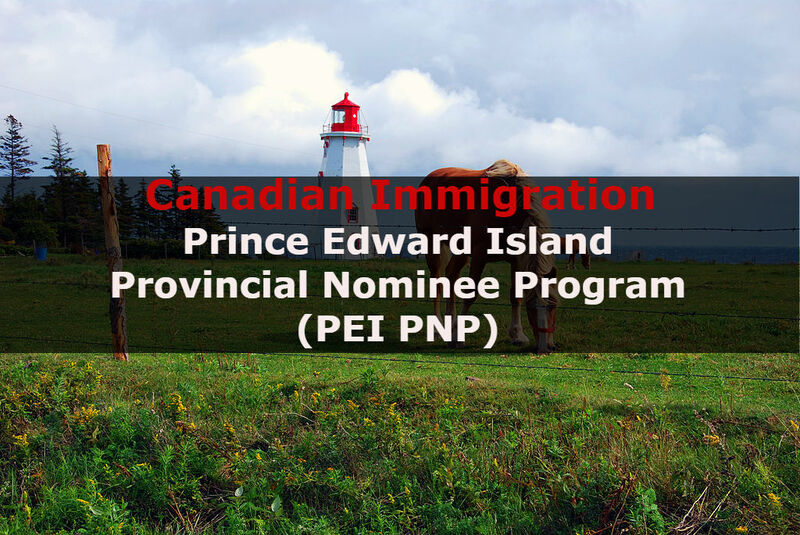 For those who are currently living in Prince Edward Island, you can apply for permanent residence through contacting at this email: ImmigratePEI@gov.pe.ca. At the end, it is highly recommended to hire a professional consultant to apply for PEI PNP Express Entry. Initiating the Canadian Immigration yourself might sound very easy, but remember that you have no experience and you can easily get rejected.